"...saw off the reopposing Dingo Dollar in the novice handicap at this meeting last season and it would appear that he's had his campaign geared around this race..."
Better than ever for fitting of blinkers this season, winning last two starts, notably Ultima Handicap Chase at Cheltenham (by one and a quarter lengths from Vintage Clouds, holding game rival after leading last and idling run-in) last time. Should stay 4m, but 9 lb rise makes life harder. Very smart handicapper at best but has struggled for form since returning from eight months off in January, pulled up in Ultima Handicap Chase last time. Handicap mark is edging down, but he shaped like a non-stayer when eighth in this race (beaten 20 lengths) last year. Smart handicapper who ran up to best when one and a quarter lengths second to Beware The Bear in Ultima Handicap Chase at Cheltenham and was fancied for Grand National on the back of that performance. Overjumped and crumpled on landing at first fence, though, and could get compensation here. Interesting contender. Progressive over fences this season, completing hat-trick in listed event (by half a length from Black Corton) at Kelso in March. Ran career best when two and a quarter lengths second to Some Chaos in 3¼m handicap at same course last time, but seemingly outstayed by winner, which raises concerns over this longer trip. Shaped well when third in Ladbrokes Trophy at Newbury in December and bounced back from a lesser effort when nine lengths second to Chidswell in handicap at Doncaster last time. Often leaves the impression he has an even bigger performance in his locker but stamina for this longer trip has to be taken on trust. Won at Newbury (by three quarters of length from Ballydine) in December and also won veterans' event there (by one and a half lengths from Theatre Guide, finding plenty to lead final 50 yards) last time. Still feasibly treated after 5 lb rise on the pick of his form, but this is a deeper race. Won four times over fences in 2017/18, notably valuable novice handicap on this card (by length from Dingo Dollar), but sole start in this sphere this season when tenth in Becher Handicap Chase won by Walk In The Mill in December. Ran respectably over hurdles last time, and has seemingly had his campaign shaped around this race so commands plenty of respect. Useful handicap chaser who won at Uttoxeter (by 16 lengths from Another Frontier) in November, and proved better than ever when also winning Betfred Eider (Handicap Chase) at Newcastle last time by neck from Mysteree. 7 lb higher now but clearly arrives in top form. Folly to ignore his claims. Won Grade 3 at Cheltenham (by head from Singlefarmpayment) in December, but well below form in 12-runner Classic Chase at Warwick last time when well backed. Finished runner-up in this race in 2017 from 9 lb lower mark. Won two-runner novice at Market Rasen (by six lengths from Chosen Path) in February. 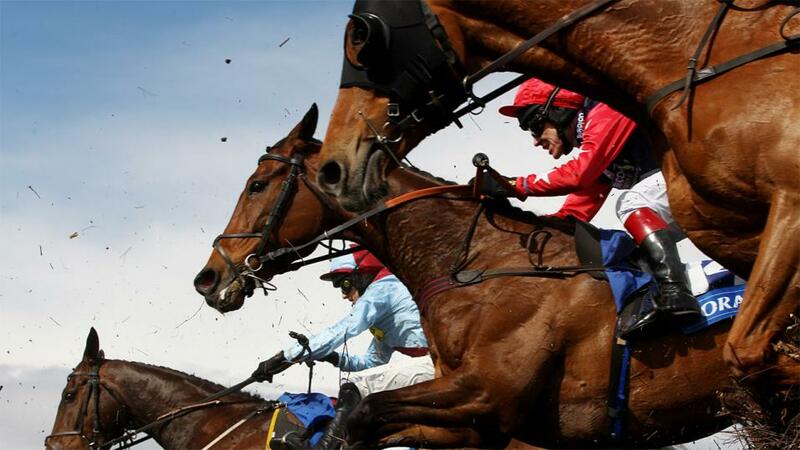 Unseated rider at fourth in National Hunt Chase won by Le Breuil at Cheltenham last time. Will be suited by long distances. Won novice and minor event at Kelso (by four and a half lengths from Shantou Flyer second occasion) in 2017/18. Off 12 weeks, and creditable six and a half lengths fourth to Beware The Bear in Ultima Handicap Chase at Cheltenham last time, finishing strongly. Should be suited by this step up in trip. Useful handicap chaser who won at Haydock (by two and three quarter lengths from Bishops Road) in November. Good effort when six lengths fifth to Wakanda in Peter Marsh Chase at same course in January, but held when hampered and unseated rider four out in Grand National Trial (Handicap) won by Robinsfirth there last time. Still relatively unexposed over fences, opening account in Classic Chase at Warwick (by three and a quarter lengths from Calett Mad) in January. Finished fourth in National Hunt Chase at Cheltenham last year but let down by jumping in latest renewal of that race last time, pulled up at twenty-first fence. Strong stayer who is worth another chance. Won handicap at Carlisle (by five lengths from Len Brennan) in February, but failed to stay when pulled up in Midlands Grand National last time. Stamina at this trip again a worry. Won cross-country event at Cheltenham in 2017/18. Off 15 months (had breathing operation), and run best excused when 39 and a half lengths sixth to Tiger Roll in Glenfarclas Chase (Cross Country) at same course last time, doing too much too soon. Needs to prove he's gone the right way from that. Won at Southwell in May and Sedgefield (by nine lengths from Mercers Court) in October. Returned to form when 13 lengths third to Chidswell at Doncaster last time (might have finished second but for being hampered run-in) and remains unexposed at marathon trips. Bounced back to form in first-time cheekpieces when winning six-runner veterans' event at Carlisle (by two and three quarter lengths from Jepeck, produced to lead after last and staying on well) last time. 6 lb rise looks fair and will be suited by long distances. Progressive chaser who won handicap at Stratford in November and followed up in similar event at Catterick (by two and a quarter lengths from Red Giant, travelling smoothly and produced to lead between last two) last time. One of the least exposed and will be a danger to all if not finding this coming too early in his development. Also entered in novices' handicap chase over 3m on same card. Enjoying a great season, winning at Kelso (by four lengths from Lough Derg Jewel) in January, and producing career-best effort when following up in Grimthorpe Handicap Chase at Doncaster (by nine lengths from Dingo Dollar, leading after four out and looking in control when left clear last) last time. Reliable type but no youngster and we know enough about him. Perked up no end by addition of first-time cheekpieces when neck second to Crosspark in Eider Chase at Newcastle last time. That the best performance he has put up since winning that race in 2017 and is potentially well treated now if going the right way from that, despite being 1 lb wrong at the weights. Won at Ludlow (twice, by two lengths from Holly Bush Henry second occasion) in December. Off 10 weeks, finished respectable 17 and a half lengths fourth to Chidswell at Doncaster last time. Seems to be in handicappers grip now, though, and 1 lb out of the weights here. Grand servant who won Royal Artillery Gold Cup (Amateur Riders) at Sandown (for second successive season) and veterans' event at Ascot in 2017/18. Overcame mistakes when winning latest renewal of latter race last time by one and three quarter lengths from Van Gogh du Granit, but barely stays 3½m. 1 lb out of the weights. Landed his fourth win over fences with a fine display at Wetherby (19f) in October, before being undone by higher mark at Ayr. Out of depth at Aintree and Kelso since and looks up against it again from 1 lb out of the weights. Bounced back from series of below-par efforts to take advantage of much-reduced mark at Newbury (by one and a half lengths from Joe Farrell) last time, always prominent and staying on strongly. Seemingly a better horse in the spring and no reason why he shouldn't give another good account. 2 lb out of the weights. Won handicap at Ayr in November, and improved again to win 12-runner handicap at same course (by two and a quarter lengths from Teddy Tee, leading before four out and keeping on well) last time. Needs to improve again, but very much the type to do so, and he will be suited by extreme distances. 2 lb out of the weights. Useful handicap chaser who won at Fontwell in October and Betfair London National at Sandown (by length from Red Infantry) in December. Good as ever when three and three quarter lengths second to Another Venture at Plumpton last time, but others seemingly hold more pressing claims. 4 lb out of the weights. Last year's fourth who has been unable to land a blow in three starts this season, but could prove dangerous to dismiss towards the foot of the handicap with Sean Bowen taking over in the saddle. 5 lb out of the weights. Produced best effort to date when one and three quarter lengths second to stablemate Rathlin Rose in veterans' handicap at Ascot last time, but looks up against it here with stamina to prove over this markedly longer trip. 5 lb out of the weights. CROSSHUE BOY saw off the reopposing Dingo Dollar in the novice handicap at this meeting last season and it would appear that he's had his campaign geared around this race. He's selected to take the prize back to Ireland ahead of the likes of Vintage Clouds, who looks sure to go well if none the worse for his early fall at Aintree, Impulsive Star, Cloth Cap and the progressive Blue Flight.